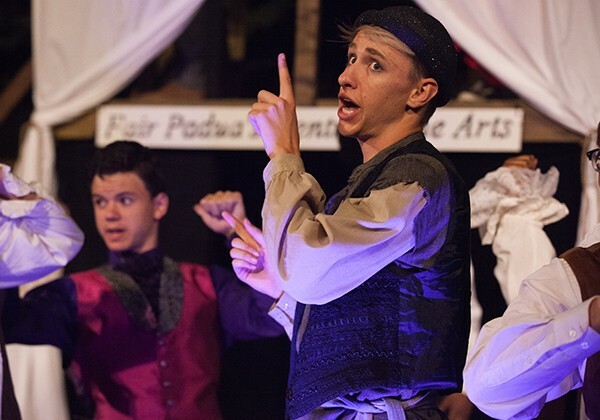 Take part in the exciting process of theatre production while developing crucial skills and knowledge necessary to excel in theatre performance. Saturday, July 20, 2019 – 11:30 a.m. 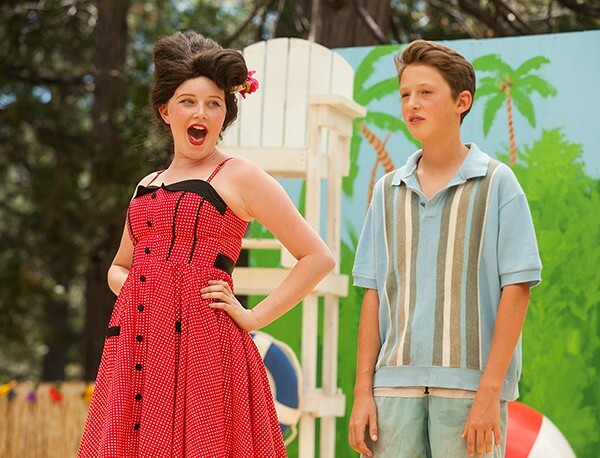 This unique and exhilarating summer theatre camp is designed for talented actors, singers and dancers. You will work on an original or adapted musical from its early stages of development to its premiere performance. Rehearsals with the director, musical director, and choreographer take place from 9 a.m.–5 p.m., Monday through Friday, with additional rehearsals as needed in the evenings or on the weekend. You also may have the chance to learn various technical aspects of production such as costuming, props, and set construction. You will audition on the first day of class, which will require a prepared, memorized song of your choice or song from the chosen show. You will also do some dancing and a read-through of the play. The summer 2019 show looks to be as innovative and high-spirited as past productions like Mean Girls: The Musical! Every actor will have a speaking part and every actor will sing, although some parts are more demanding than others, and not every actor will have a singing solo. Several dance solo opportunities will be available. You will receive a letter in June with more specifics about the production and audition. Enrollment limited to 16 students. Saturday, August 3, 2019 – 11:30 a.m. Dive into this fun, hands-on approach to the works of William Shakespeare. 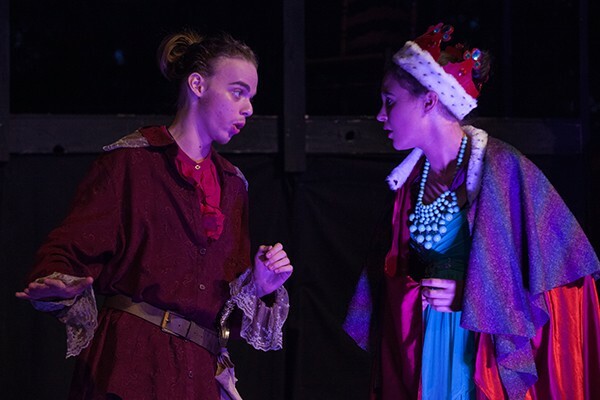 In this summer theatre camp, you will learn about the life and times of Shakespeare and rehearse an adapted version of one of his plays, which you will perform at the end of the session. We’ll study the play in depth and take a field trip to see a live, professional production. You will audition for parts and learn amazing and direct acting techniques for bringing Shakespeare’s words to life. The production also may include basic stage combat, singing and dancing, depending on the talents of the individual cast members and the needs of the show. Rehearsals with the director and choreographer take place from 9 a.m.–5 p.m., Monday through Friday, and 9 a.m. – 11:30 a.m. on Saturday, with additional rehearsals as needed in the evenings or on the weekend. Other activities may include Elizabethan mask-making, sonnet writing, and improvisational games and exercises. Saturday, July 6, 2019 – 11:30 a.m. 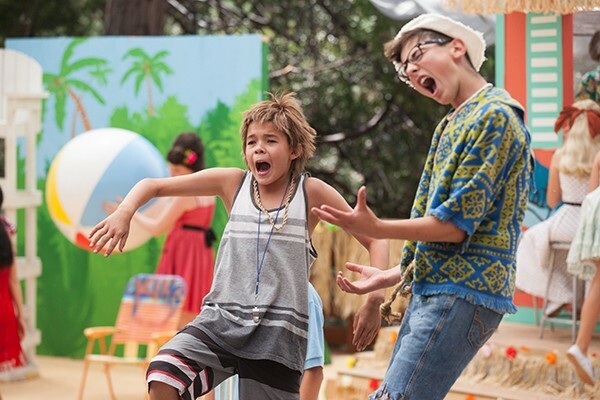 This two-week summer camp focuses on the actor’s techniques and skills needed to perform on stage! 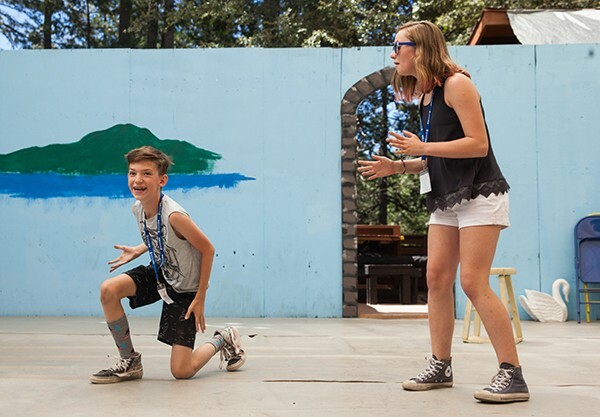 Each day will be filled with theater games and improv exercises, ensemble building/teamwork activities, and vocal techniques. 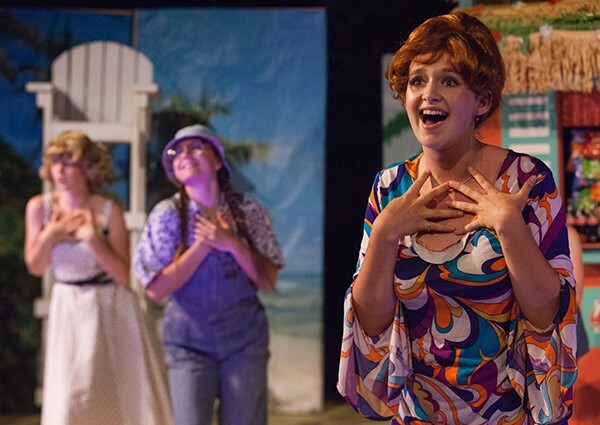 You will audition for parts, memorize lines, learn stage movement, and rehearse each day. The program will culminate in a full performance of a play with music, sound, costumes, props, and sets. There may be opportunities for singing, dancing, stage combat, and other individual talents you have depending on the needs of the project. “Curtain Up” has something for everyone. If you’re new to acting or an old pro, we welcome you! The performance will be inclusive of all levels of experience and talents. This is an exciting two-week program for enthusiastic and motivated actors. Rehearsals take place from 9 a.m.– 4 p.m., Monday through Friday, and Saturday morning from 9-11:30 am. Friday, July 5, 2019 – 8 p.m.
Slay the two-headed monster of writing and performing for the stage! 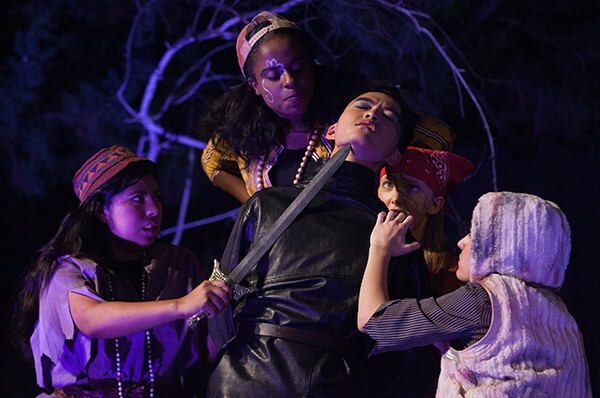 Flex all your creative muscles in this new class that combines two of Idyllwild Arts Academy’s most exciting departments: Theatre and Creative Writing. In only two weeks you will create a completely original play to be performed for the public, under the stars. 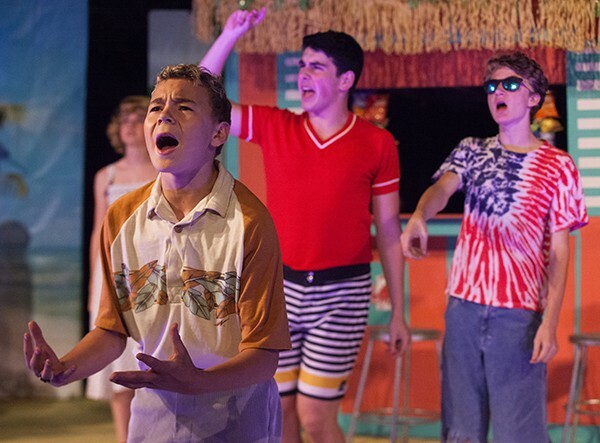 This theatre camp is ideal for emerging artists from around the country who want to lend all of their talents to this 100% student –created work. 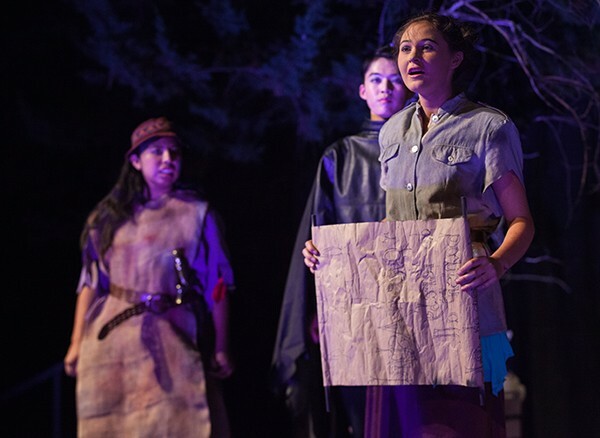 Instructors from Idyllwild Arts Academy, boasting professional theatre and writing credits, will work with student writers, actors, and artists with an interest in making theatre; to create, develop, and perform a once-in-a-lifetime theatrical event. All students will be strongly encouraged to write and act; but if your interests lie on the other side of the curtain, you will be able to contribute to the creative process in those disciplines as well. Everyone is welcome, so sign on for this unique artistic journey! 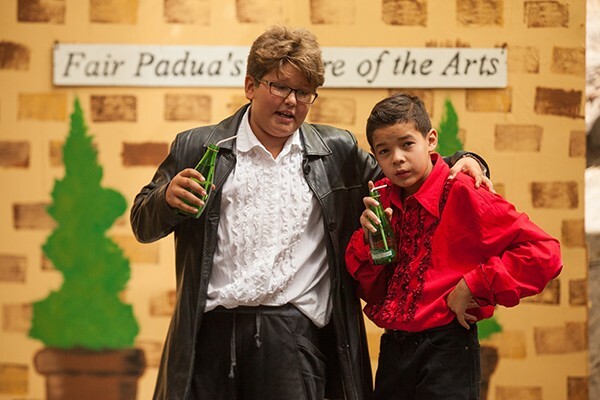 Performance sessions will include acting, voice and speech, and movement for the stage. Writing sessions will include improvisation games, playwriting exercises, editing and individual instruction for drafting and mentoring. Technical and Design sessions will include Costuming, Stage Make-up, Set, Sound and Lighting (week 2). Friday, July 19, 2019 – 8 p.m.
For serious actors and theatre techs! 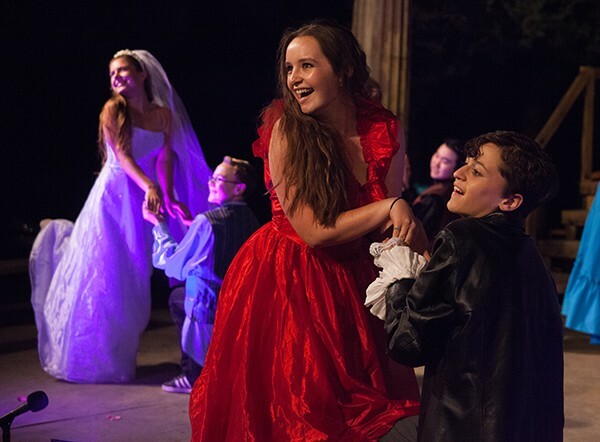 Perform an adaptation of one of Shakespeare’s plays under the stars with professional lighting, sets, costumes, and music! 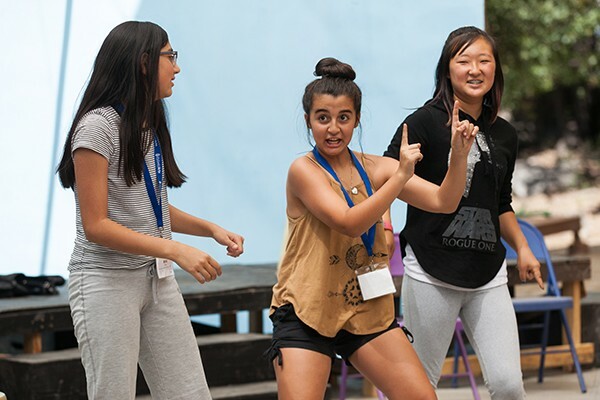 In this intensive summer camp (comparable to conservatory theatre training programs found at the college level), you will strengthen your skills in voice and speech, stage movement and choreography, text analysis, dramaturgy, improvisation, and stagecraft. 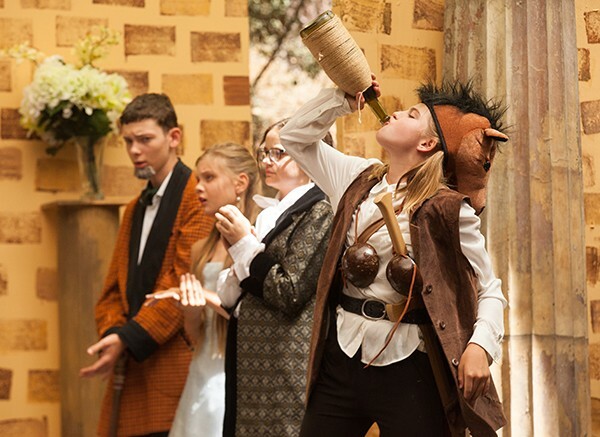 Other activities may include Elizabethan mask-making, sonnet writing, and acting games and exercises. Want to be a part of theatre but don’t want to act? Then come train in the technical aspects of theatre. Do you play an instrument? Bring it! Do you know how to juggle? We can use you! Production may include solo and/or ensemble singing, mask work, and stage combat depending on the specific needs of the production. This program includes a field trip to see the same play we will be studying, meet the actors, and enjoy professional theatre under the stars. All are welcome! Friday, August 2, 2019 – 8 p.m. Looking to enhance your experience or even take your first dance step into musical theatre, then THE SUMMER SHOW is for you! 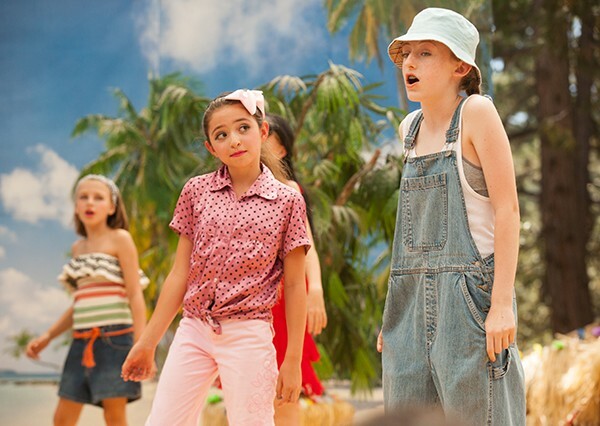 This fast-paced theatre camp, is designed for talented and aspiring musical theatre performers. 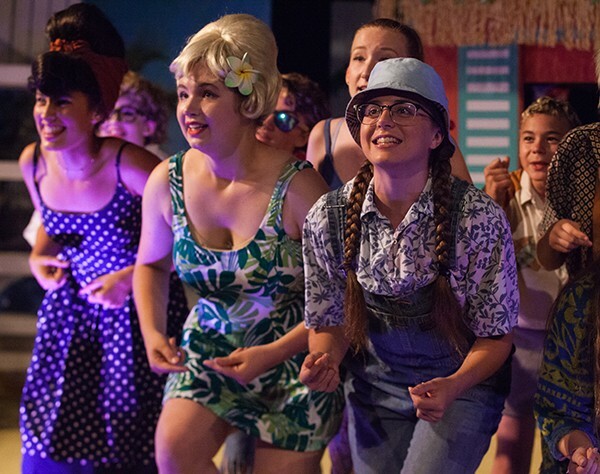 This two-week program builds to the premiere production of an original or adapted musical! You will work closely with the director, vocal coach, musical director, and choreographers, throughout the rehearsal process, and be a part of an ensemble musical theater piece in which every actor will have a speaking part and will sing and dance. Some roles will be more demanding than others and not every actor will have a singing or dancing solo, but here will be great opportunities for everyone. We aim to provide a professional audition experience, so come prepared with a song and a short monologue from a musical or comedy that best shows off your talents. Instructors, all working artists with professional credits, will coach you on your audition pieces and help you prepare for the formal auditions on the second or third day of the program. 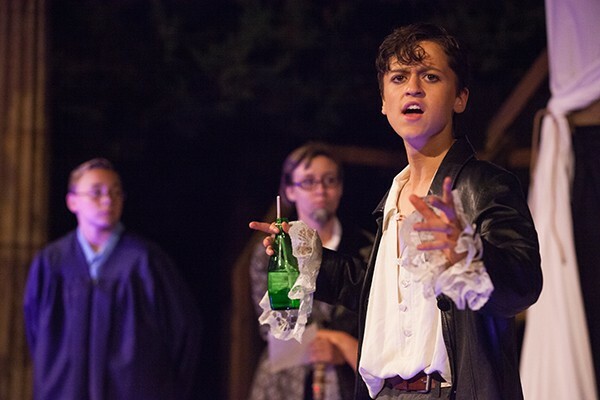 This is a great experience if you’re preparing for a college or conservatory theater program. 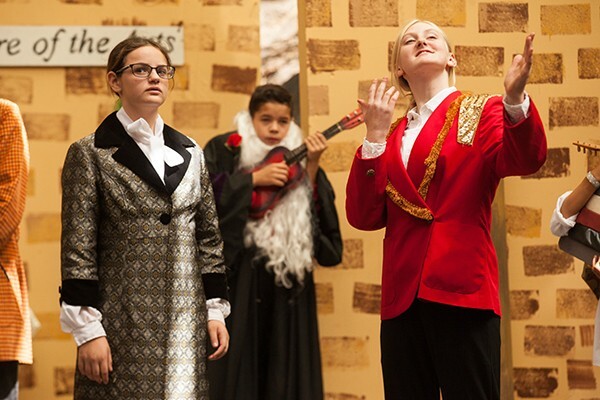 Boarding Arts High School Academy Theatre Program.